This necklace reminds me of springtime! 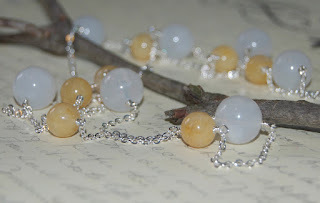 It is made with vintage acrylic beads and calcite. This necklace measures 38 inches and has no clasp. 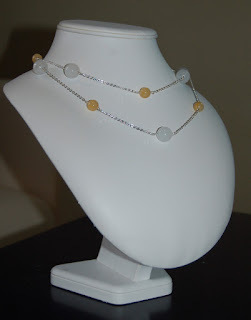 You can wear it as a single long necklace or double it up for a layered look. It is finished with silver plated chain.